Lukaku is one for the future, and has Chelsea have just signed him, could be the inevitable replacement on Didier Drogba. Romelu Lukaku only left secondary school 2 years ago, but has already achieved so much and now is on his way to Stamford Bridge to play for Chelsea. He possesses great power and ability and has the potential to be one of the best strikers in the world. The likes of Barcelona, Manchester United and Real Madrid (as well as others) have been scouting him, but he has chosen Chelsea has his destination. 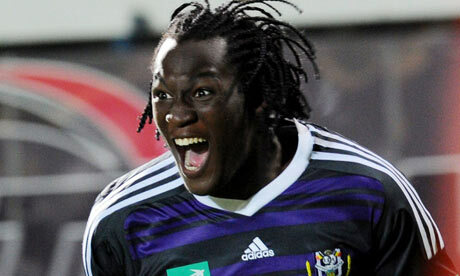 Lukaku started his career at professional career at Anderlecht at the age of just 16. He was thrown straight into the thick of things as he was given his debut just 11 days after his 16th birthday, but they were to lose that particular match. He scored his first goal against not long after that and many were to follow. He has scored 33 goals in 73 appearances for Anderlecht and this would obviously spread to the giant European clubs of the world. Real Madrid were at first interested but nothing happened on that note, but then Chelsea seemed interested and secured his services for the up and coming season. Personally, moving to Chelsea may have been a move too soon. He is a growing player, and perhaps a few more seasons at Anderlecht would of been more beneficial. Apparently the player is mature and clever lads, therefore settling in at Chelsea will not be too much of a struggle. The problem that Lukaku faces is that there are strikers at Chelsea who will want to play week in and week out. Nicolas Anelka is technically very good, and may be important to Andres Villas-Boas plans. Didier Drogba is still Chelsea’s most lethal striker, and it will be hard to force him out the team as he is too crucial to way Chelsea played. Obviously, they have that certain striker called Torres, who was bought for £50million from Liverpool in January. Because of his price tag alone, Torres will expect to play. There are other strikers that will hope to play too, like Sturridge and Kalou, so where does Lukaku fit in to all this? Does he be patient, or go on loan to someone else for the year, because there is no doubt this lad has potential and by living up to the expectation and improve as a player, he will need game time.